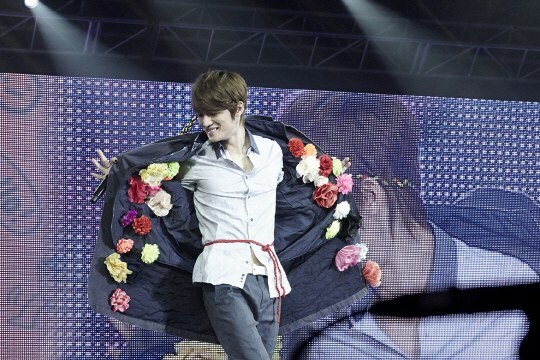 JYJ’s fan expo screened footage from JYJ’s recent concert instead of holding an actual concert. Fans could attend a screening by reserving a seat beforehand at the ticket booth, and the concert was shown up to nine times a day at the Concert Hall section of the expo. The concert hall had a large screen, surround sound system and an extravagant lighting set that mirrored an actual concert stage. Footage from JYJ’s Tokyo Dome concert in April was shown, giving Korean fans an opportunity to watch a 10,500 Yen (approximately 124,000 Won) Japanese concert for free. JYJ’s fans met JYJ for free, without having to pay an entry free or buy MD goods. Through a gift coupon service, fans were able to exchange coupons for drinks, snacks, and various goods. Fans (official members) who were unable to attend the fanmeet will be sent a free DVD of the fanmeet and the event did not accept any gifts or wreaths. 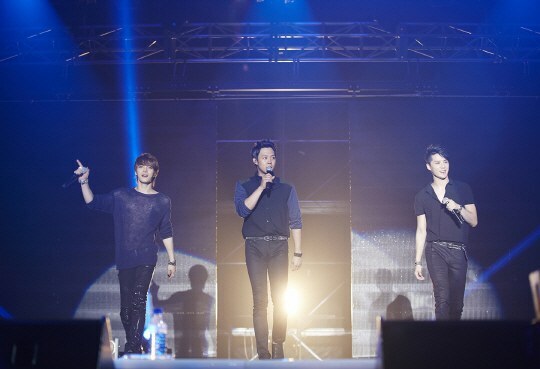 JYJ’s fan expo featured a Media Facade (A fusion of ‘Facade’ and ‘Media’, in which media is heightened by LED lights shone on the side of walls)and an art gallery that featured artwork created by the members of JYJ. 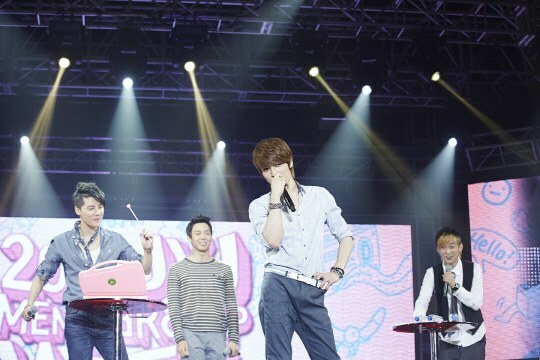 The main feature of JYJ’s fan expo was that JYJ participated from beginning to end, starting with the planning process. Taking JYJ’s opinions into consideration, the fan expo incorporated a humanistic aspect to IT technology and large-scale projects. 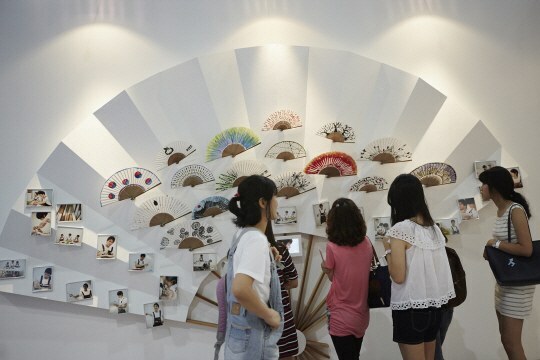 In order to create a space to connect with fans, JYJ featured artwork they had created themselves through a ‘JYJ Art Gallery’ to add a more analogy aspect to their expo.